Bernard Mayes, KQED-FM's first general manager and an early executive with the fledgling National Public Radio, has died at the age of 85. Friends said he died peacefully Thursday at UCSF's Parnassus Campus. He had suffered from Parkinson's disease. Mayes is remembered for a varied and remarkable career in which he served not only as a broadcaster and radio executive but also as an Anglican priest, chair of the University of Virginia's Department of Rhetoric and Communications Studies, and founder of the first suicide prevention center in the United States. As recounted in his 2001 autobiography, "Escaping God's Closet: The Revelations of a Queer Priest," he was also active in gay rights causes and was one of the founders of the Serpentine Society, the University of Virginia's LGBTQ alumni association. Mayes was born Oct. 10, 1929, in London. In his autobiography, he describes his mother as a telephone operator who lost her true love in World War I and his father as "a crippled artist with a shortened leg." Mayes writes that "for gay people like myself the search for meaning has been a never-ending task." He says that search "took me to several different professions to find clues to a possible answer." 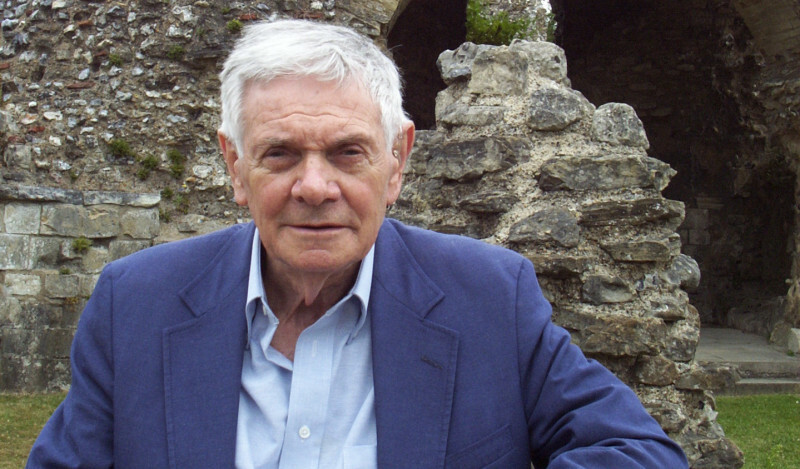 Mayes attended England's Cambridge University, from which he graduated with honors in ancient languages and history. He taught those subjects in high school, was ordained as an Anglican priest and went to work for the BBC -- all while he was still in his 20s. He came to the United States in 1959, serving first in an Episcopal parish in New York City before moving to the Bay Area in 1961. He started his pioneering suicide hotline in the early 1960s and reportedly served in a Fairfax parish around the same time before his path led to full-time involvement in broadcasting. He worked as an announcer at Berkeley's KPFA and at KXKX, a station owned by the San Francisco Theological Seminary. The station began broadcasting as KQED-FM in 1969 with Mayes as its general manager. Over the next decade, he was involved as an executive, board member, consultant or reporter for NPR, PBS, the Corporation for Public Broadcasting, the BBC, Radio New Zealand, the Australian and Canadian broadcasting corporations and public radio stations across the United States. He lectured at Stanford's Institute for Mass Media from 1972-84 and joined the University of Virginia in 1991. 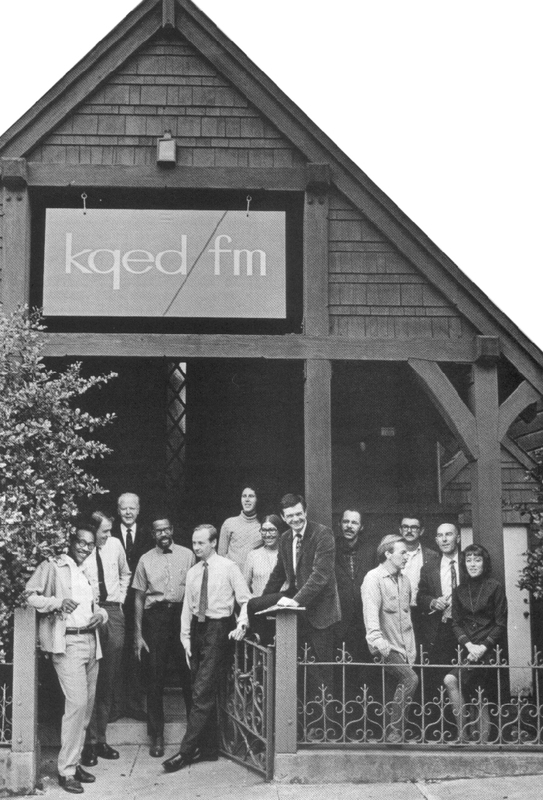 Bernard Mayes, the sixth figure from the right, with early KQED-FM staffers in 1969. The first suicide hotline in the United States consisted of one man with one phone in one room in San Francisco. The man was Bernard Mayes, and he'd placed cardboard ads on Muni buses: "Thinking of ending it all? Call Bruce, PR1-0450, San Francisco Suicide Prevention." Then Mayes, working under a pseudonym, curled up on the one couch wondering whether the phone would ring. It did ring once that first night. By the end of the week, there were 10 callers, and that phone hasn't stopped ringing for 50 years now. The one line in a basement room is now five lines in a downtown high-rise. Two hundred calls a month have become 200 calls a day to (415) 781-0500, handled by 100 volunteers and 10 paid staff. They all undergo weeks of intensive training to do what Mayes himself learned to do on that first call, with no training whatsoever: listen. Having been diagnosed with Parkinson's disease, Bernard Mayes was confronted with a stark choice. Should the fiercely independent gay man move into a senior assisted living facility? Or was it feasible to hire caregivers so he could remain in his home in San Francisco's Bernal Heights neighborhood? Mayes, 84, like many elders of any sexual orientation, preferred to live out his life in his own home. Eventually, though, said Mayes, "You deteriorate until you become incompetent. My friends and I decided I should be in permanent care. I couldn't go it alone." Celebrations of Mayes' life are being planned on both coasts. Donations in his honor should be made to San Francisco Suicide Prevention, the Serpentine Society or to KQED. Below: Video of Bernard Mayes talking about his involvement in the gay rights movement.